With its excellent weather conditions and a network of varied, traffic-free roads, the Algarve in Portugal is the ideal destination for training and quality rides over the winter / spring. 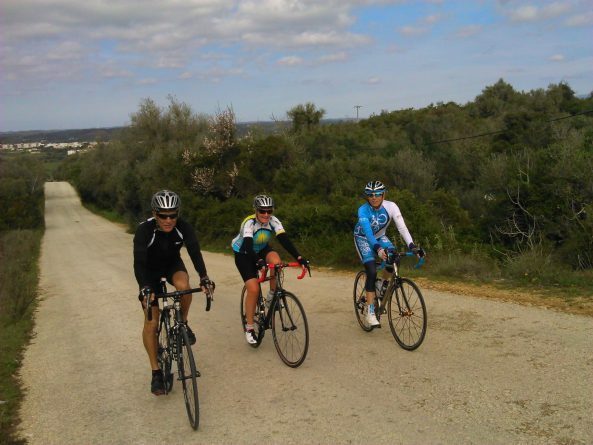 Join Paul Hughes, 20 years international cycling coach and Bridget Evans, retired professional racing cyclist, for the very best combination of challenging ride routes on our Algarve Cycling Training Camps. 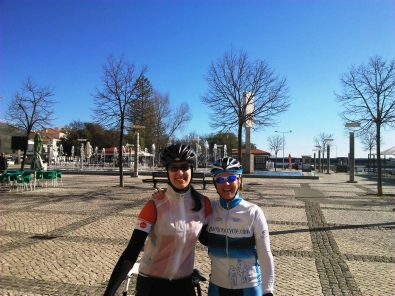 Experience Portugal with a glorious week of quality riding throughout the Algarve between the October – May period, keep the legs turning and avoid the cold wet months and that unwanted cold or flu! As all good cyclists would agree it’s also the time of the year to maintain good condition and build that important aerobic fitness for a great year of cycling ahead. 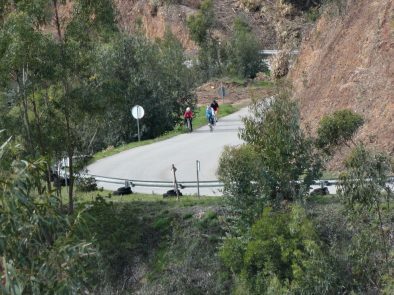 The natural setting of the Algarve offers a variety of climbs and a network of roads, perfect for a challenging week and also moderate distance rides each day. Looking to relax a bit more? 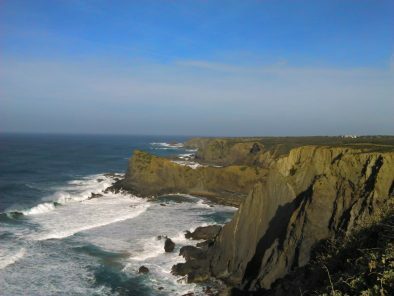 If it’s more of a winter cycling holiday and less of a challenge that you are looking for, take a look at the Algarve Bike Trip! Tour Type Our Winter and Summer training camps are famous for being the most legendary cycling imaginable. 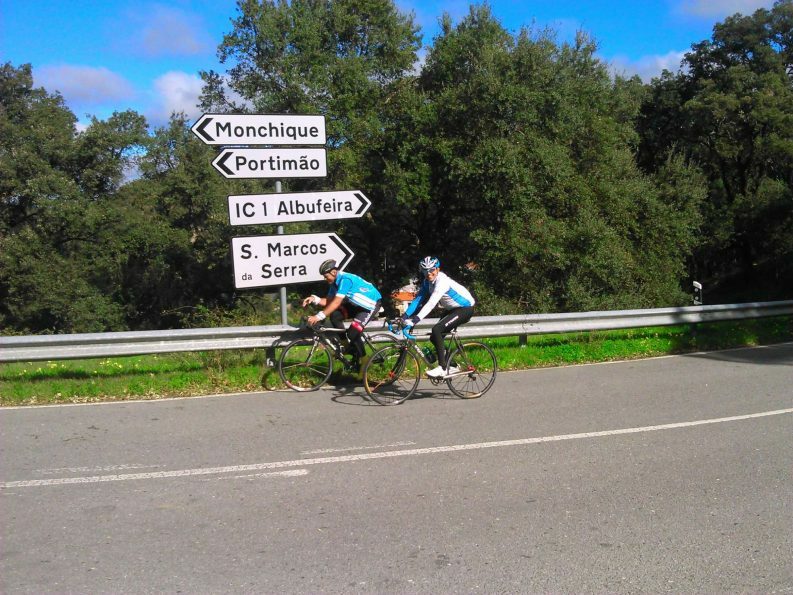 With our world class coaching skills and unique knowledge of the roads of the Algarve,Portugal and the French Alps , expect only the best training rides and personal gains from this cycling week. Activity Level Because our training weeks are always based at a single location with a huge variety of training ride options, we can tailor the week to meet your riding requirements and goals. Available Packages All our prices are AUD$ per person based on twin share accommodation. If you are a single guest, a single room surcharge will apply. If you have already arranged accommodation, you can select our 'Rides Only' package. Season All our training weeks are available as private at any time of the year. So if you want to travel outside the season, don't hesitate to contact us! The Practice Bicycle team have significant experience at the highest levels of international cycling and have an unique skill set for all cycling groups, including extensive cycling knowledge available to answer your questions or requests on any topic associated with cycling and your training during your stay. With coaching experience of all ability levels, men and women of all age groups including teams at professional elite racing level on the European and World stage for many years. In addition owner Bridget Evans a very accomplished bike rider in her own right with a wealth of experience acquired as a professional bike rider on the world tour for over 10 years competing in many prestigious international races with great success. My week with you inspired me to get me prepared for the New England Road Race championship, the New England Time Trial championship, and the Green Mountain Stage Race. I won the 50-59 Road Race title, as well as the 50-54 TT. I finished 3rd on GC at GMSR in the 50+ field, with a 4th place in the TT stage, and 3rd in the RR. It was a great second half of the season. There's no doubt in my mind that my week in the Algarve with Practice Bicycle was a significant factor in my success. I'd love to come back and ride with you again! 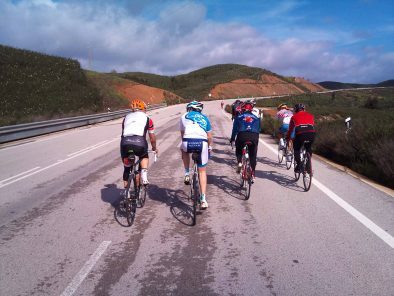 We run our Algarve Winter / Spring Cycling Training Camps from October to May. Below are all our scheduled small-group departures for the Algarve Training Camps. To enquire about joining our training weeks, click the “Enquire Now” button next to the tour date. 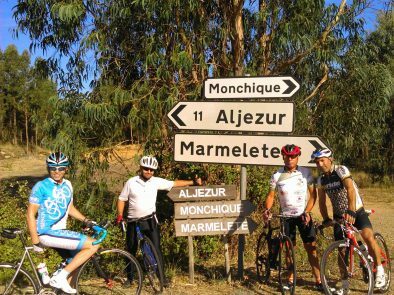 If you want to travel on different dates, don’t hesitate to contact us about arranging a private Algarve Cycling Training Camp! Welcome to Portugal and a great week of riding in the Algarve! After you have checked in to your accommodation, should time permit we will undo the legs from your travels and also check that your bike travelled safely with an introduction ride to your Winter Spring Training Camp in the Algarve! Start the day with a full buffet breakfast and the sun rising ready for a great day in the saddle. Fully charged heading out at a comfortable pace, warming up both our muscles and mind on our chosen ride option for the day. 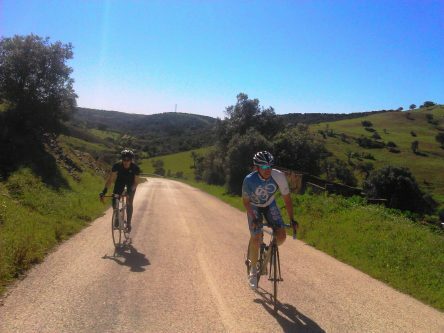 Effective training is best accomplished with a gradual increase in effort and nothing could be better when we hit the quiet country roads of the Algarve, small undulations and twisting roads are just what the training ordered! Once in a rhythm the kilometres/miles flow by with ease as we pass Portuguese villages that haven’t changed in many years. Time to take on a small climb and stimulate those muscle fibres, early season style, small chain ring comfortable high cadence if you wish or Strength/Endurance intervals if you’re looking to improve that all important muscle strength! Looking for a coffee-break or keep it constant, fat-burning metabolism at its chosen best, three, four or five hours every day tailored for that all important scientific progressive overload effect. Great training sometimes needs discipline for the very best anyway, time to wind down the effort on our return to the Hotel, ready for another perfect Algarve Training Ride tomorrow. Today is your departure day from the Algarve, with a superb riding week completed it’s now time to return home, recover and adapt with a few easy days. “Tchau” from the team at Practice Bicycle Bike Tours. Am I fit enough for this training camp? 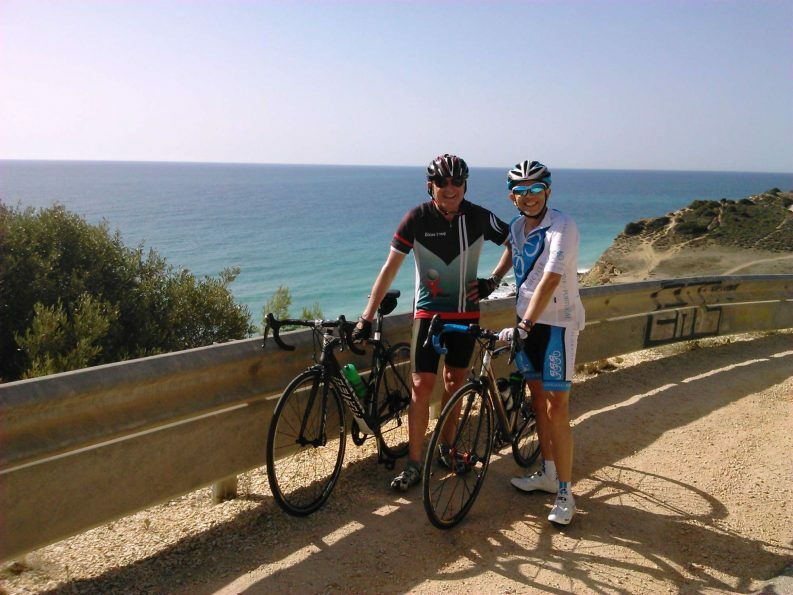 Each cycling route during your Algarve Winter / Spring Cycling Training Camp will be tailored specifically to your bike riding ability and experience, so every ride will be exactly paced for your challenge and goals. If you are preparing for an event with specific training or want a week of great riding in the sun. The Algarve is your destination. 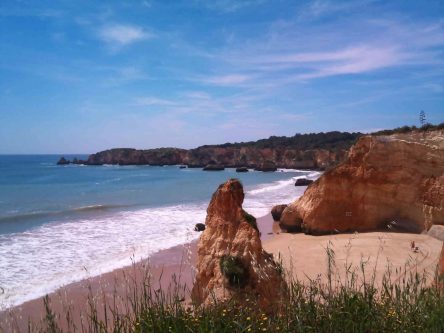 We have a tested choice of accommodation on offer at Portimao and Praia da Rocha, the ideal location to relax after your ride each day. Choose between the Marina or the Beach handpicked 4* accommodation, the Tivoli Marina Portimao Resort, quality studios within a nautical complex on the River Arade and a short 400m walk to the Beach and Restaurants. Alternatively the Oriental Hotel on the beach with all amenities at your door. I have already booked accommodation - is the Rides Only training week for me? Absolutely! Look for our ‘Rides Only’ package to get on this training week without using our accommodation. Organise your own stay in the Algarve and come to the rides just like you would back home! 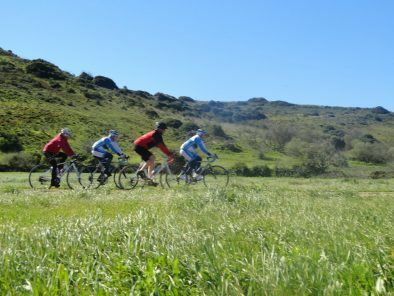 Each day you will join the Practice Bicycle Team at a Portimao/Praia da Rocha meeting point. 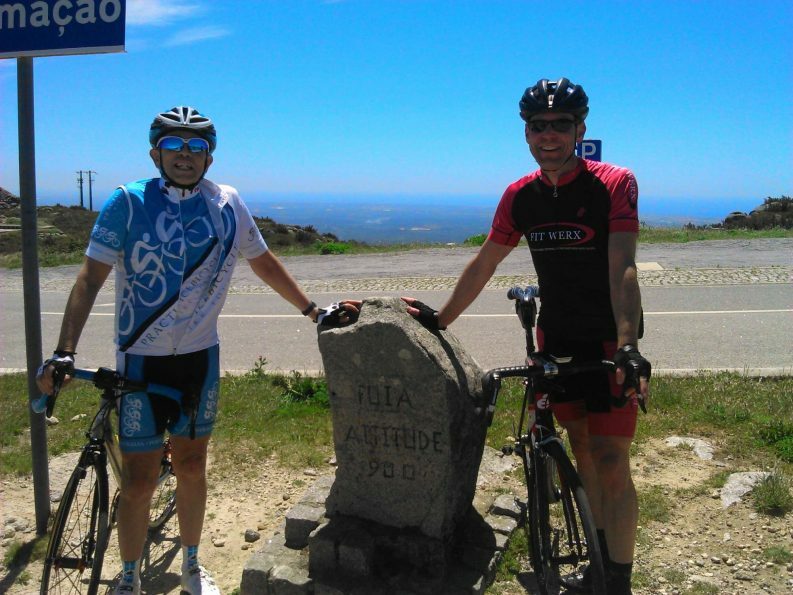 Meet your ride leader and experience a variety of ideal training rides to maximize your cycling on the warm roads of Europe’s new cycling destination the Algarve,Portugal. What do we do with our time after the training ride? The Training Camp is about great riding and being outdoors as much as possible, especially as many guests have come from very cold climates. 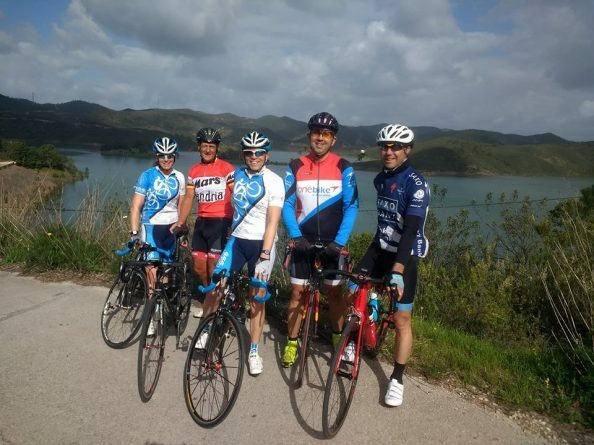 Guests who come with their training buddies, enjoy interaction post cycling. For most it’s time to relax, rest and recover. Either by the pool or a drink and stroll on the beach, there are also plenty of great restaurants / bars, shops to choose from within walking distance of your hotel. I guess with tired legs RELAXING is high on the agenda! If massage is something you enjoy, this can also be organized for you. How do I get to the Algarve training camp? The Algarve training camp is based in Portimao / Praia da Rocha. The closest airport is Faro Airport (Portugal) situated in the South of Portugal and serviced by many low cost European airlines. Shuttle Transfer services operate between the airport and Praia da Rocha. For International guests arriving in Lisbon, travel options include an internal flight to Faro Airport or public transport using either train / coach service to Portimao (approx 3hrs travel). Alternatively many car rental companies are also available. International professional coaching (over 20 years) of all ages, men and women ensuring a perfect week in the saddle.